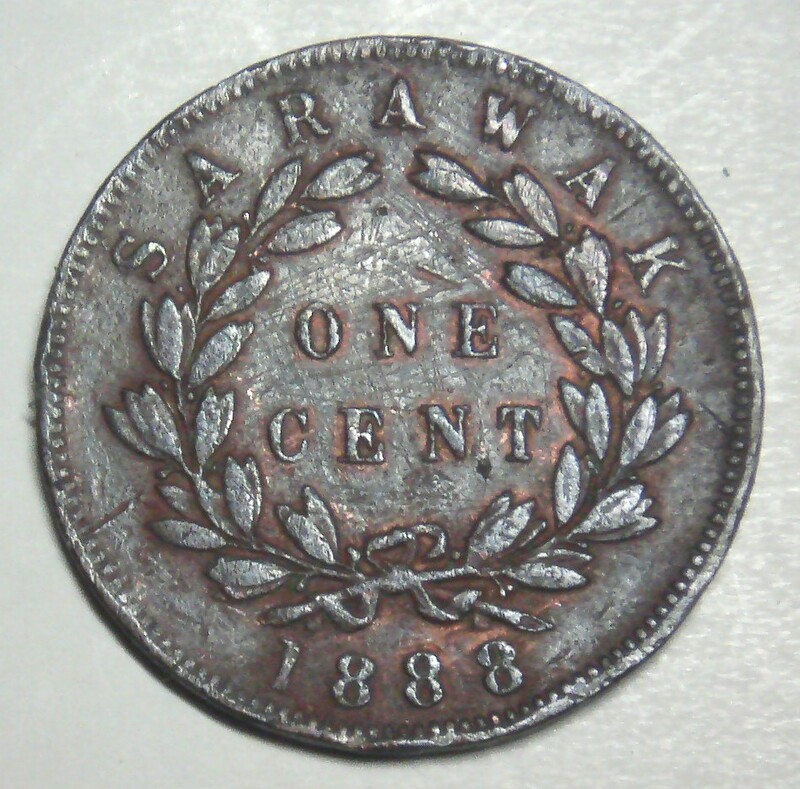 I have a rare coin in my collection which is a time capsule of the colourful Brooke's Dynasty rule in Sarawak during the middle of the 19th century. Before Sarawak was colonised, it was ruled by a British family and they gave up their dynastic rule to the British Crown after they found it impossible to run the state without much budget and a bigger administrative structure which could only be provided by The Empire. The first 'White Rajah' or 'White King' was James Brooke and was succeeded by 'Rajah' Charles Johnson Brooke who ruled Sarawak from 1868-1917. 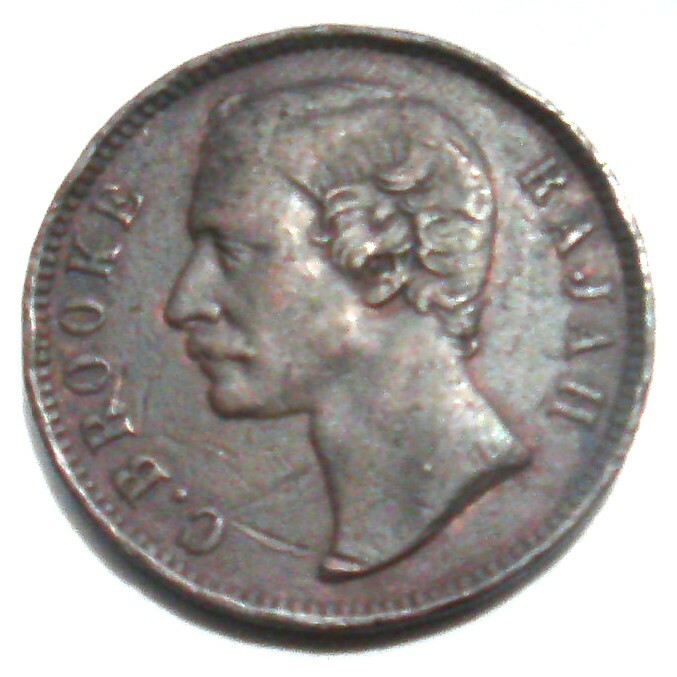 During his rule Rajah Charles struck or minted the above copper coin, dated 1888. This coin is 3 cm in diameter. 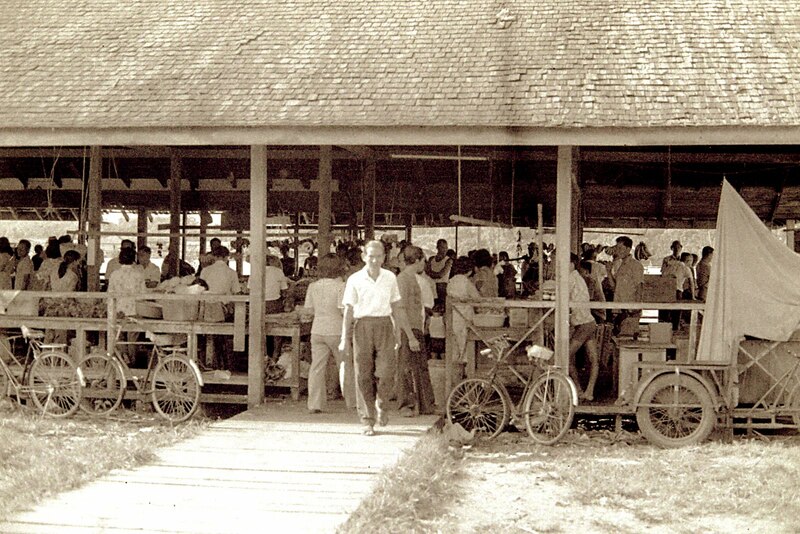 Before the Brookes rule, Sarawak was under the Sultanate of Brunei which used coins of tin. However being of soft metal it wore easily. With a more modern British minting technology coins were then minted in copper like the one above. For those who believe in the power of numbers like the number '8' among the Chinese, what is the significance of the triple 8 digit, I wonder?